Art projects, tea parties, and snack time are all more fun in kid-sized proportions. Stylishly simple yet wonderfully inventive, this play table set makes a lovely addition to a nursery or play room, and features durable, eco-friendly finishes with an easy-to-clean laminate tabletop. Easy to assemble. Easy-to-clean laminate tabletop. GREENGUARD Gold certified. 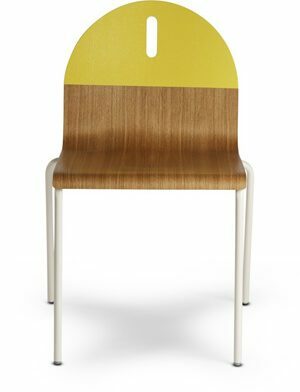 Made of Baltic birch plywood and Scratch Resistant High Pressure Laminate. Finishes are non toxic, water-based and free of VOC health hazards. Made under European environmental standards. Packaging made of recycled cardboard. Responsible recycling through licensed collecting facilities.